Owens-Illinois, more commonly known as O-I, is the world’s largest glassmaker, manufacturing glass containers and packaging for many of the world’s leading food and beverage brands. Their heritage of glass making runs deep as one of the founders was also the first to design a fully automated bottle-making machine. In fact, one of every two glass containers is made by O-I. With constant improvements and expansions to their existing facilities, O-I actively addresses quality at each of their manufacturing locations. 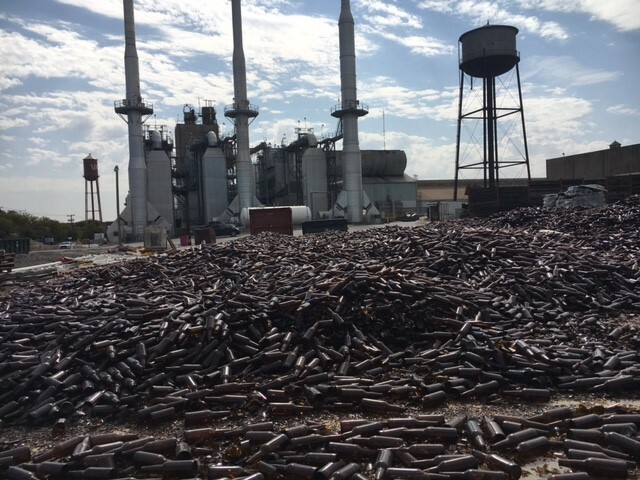 One such facility, located in Waco, Texas (O-I Waco), needed an improved drainage system for their glass container landfill situated nearby the manufacturing facility. The consulting engineer, Mark Roetzel, worked closely with Shallow Ford Construction, to design a system that would address the needs of this particular site. 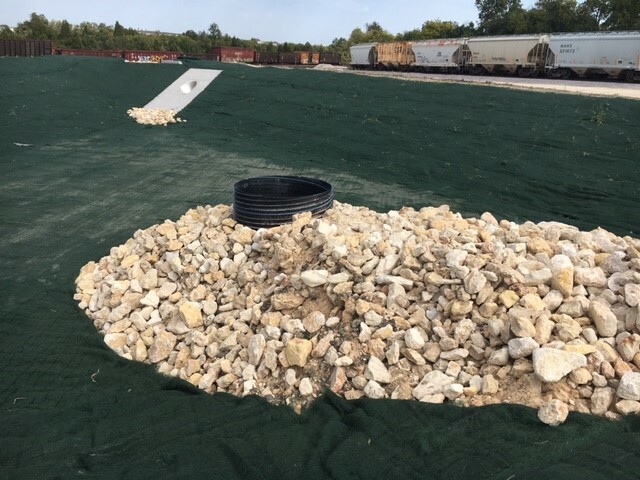 Because of the location and soil conditions, the project required a watertight joint pipe that was capable of conveying storm water efficiently with minimal leakage. With that in mind, DuroMaxx® steel reinforced polyethylene (SRPE) was selected to address the project design requirements along with A-2000™ PVC for a complete drainage system solution. The steel reinforcing ribs of the DuroMaxx pipe provided the strength while the polyethylene provided the durability. The smooth interior met the hydraulic needs of the system with a Manning’s “n” value of 0.011 while the welded coupler joint ensured a watertight connection throughout the drainage system. Initially, the engineer considered the use of HDPE throughout the entire drainage system, but considering the somewhat inefficient watertight joints and potential buckling conditions, they determined that DuroMaxx would be more than capable to address these design concerns. 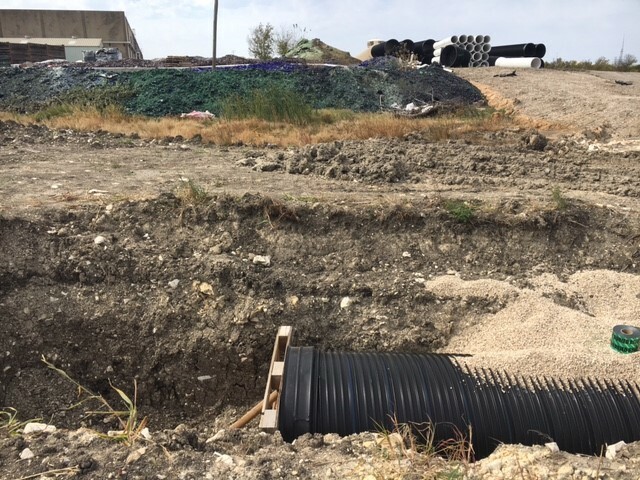 Because the project was located inside of a glass container landfill, a special approval letter from the city was required by the general contractor to install the 48-inch DuroMaxx and A-2000™ drainage system. This additional approval process increased the project timeframe by another two months but was unavoidable. Ultimately, the complete drainage system was installed successfully. The contractor was very satisfied with the product and the ease of installation.